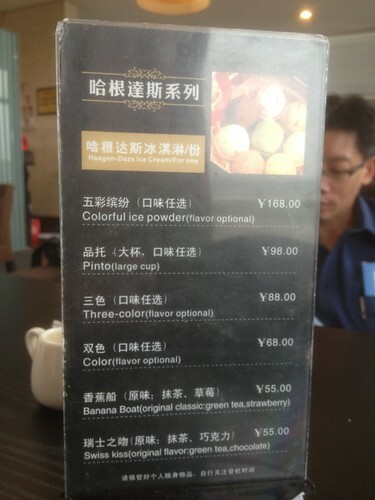 Was at the cafe at Chengdu airport while waiting for me flight when I saw this menu placard selling Haagen-Dazs ice cream. "Colorful Ice Powder (Flavor Optional)". Arrenn: Come come. We go Chengdu. I buy the Pinto, you drive and let me take a picture of you, wokay?